The Warrior producer Bertrand Faivre has expressed his frustration at the American Academy's decision to bar the acclaimed production from competing as the UK entry for the foreign language Oscars. The Academy of Motion Picture Arts & Sciences said this week its committee members voted against The Warrior because Hindi was not a language indigenous to the UK and the film was not about the Hindu community in the UK. But such an explanation was dismissed by Faivre, who argued that the film was almost all British apart from being shot in India and having a French producer. "The writer was British. The director was British. The majority of department heads were British," Faivre said. "The post production was British. The money was British. FilmFour was British. The Department for Culture, Media & Sport gave it a certificate of British nationality." Commenting on the film's entirely Hindi dialogue, Faivre said that more people in the UK spoke Hindi than Welsh, a reference to The Warrior's replacement as the UK foreign-language representative for the Oscars, Tim Lyn's Welsh-language coming-of-age tale Eldra. The Academy decision is all the more galling for Warrior supporters as the Academy this year allowed the predominantly Russian-language and Russian-set Lilya 4-Ever to compete for Sweden. "Festivals around the world have said this film opens doors in terms of what can be called British cinema," Faivre continued. "Now people far away have said, 'No, it is not British'. The Academy should push the boundaries of tolerance and taste. It seems to have a very narrow view of what a British film is." He added: "Asif Kapadia is a second generation Indian, born and brought up in London, who was expressing something of worth. He had a western take on an Indian story." 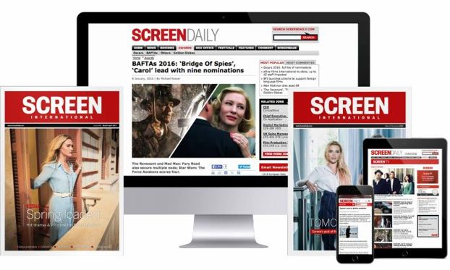 When contacted yesterday, the Academy had nothing to add to its stated objections to the picture, which appeared in Screendaily on Dec 2. Mark Johnson, who chairs the foreign language committee, was unavailable for comment. Meanwhile, Hong Kong entry The Touch, produced by and starring Michelle Yeoh, was rejected because most of the dialogue is in English and not Mandarin. Palestine's acclaimed drama Divine Intervention was not accepted because Palestine is not recognised as a bona fide nation by the Academy despite having a non-voting seat on the United Nations.